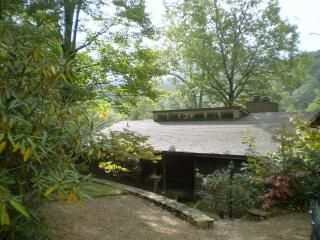 Burnsville Cottage w/ Deck & Blue Ridge Mtn Views! 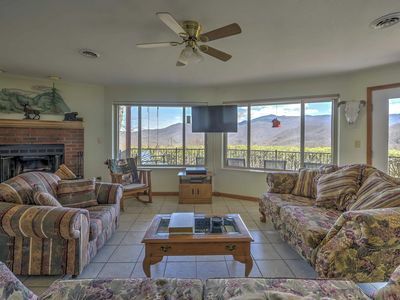 Supreme stargazing, alpine adventures, and stunning mountain vistas await at ‘Black Mountain Sky’, a 2-bedroom, 2-bathroom vacation rental condo in Burnsville. 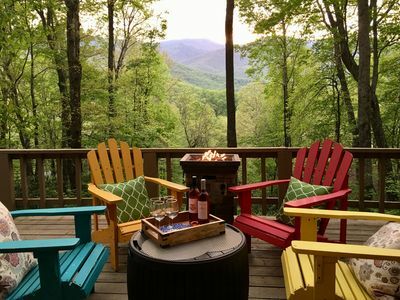 This cozy abode has accommodations for up to 6 guests and an expansive 1,000-square-foot deck with stunning Blue Ridge views. 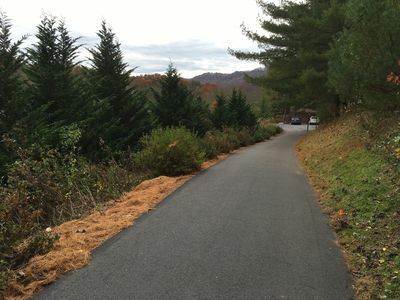 Nestled in the rugged North Carolina mountains, hiking, mountain biking, skiing and more are just steps from your door! 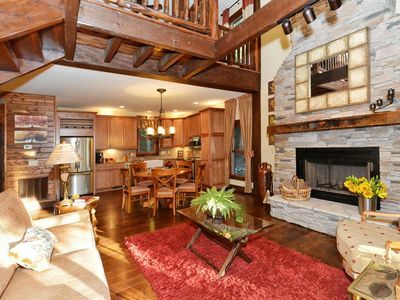 You’ll love coming home to gather around the fire pit for s'mores and stargazing. 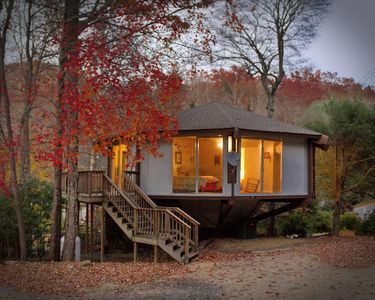 This cottage is the perfect home base for all of your vacation adventures. The bright and cheery home has vaulted ceilings, an abundance of natural light, and a wood-burning fireplace for optimal relaxation. 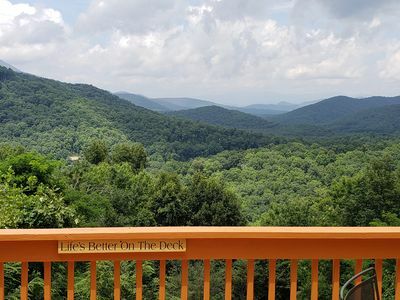 Step out to the 1,000-square-foot deck with awe-inspiring views of the Blue Ridge Mountains. The expansive deck boasts rocking chairs, plush patio furniture and an outdoor table with seating for 6. Enjoy mesmerizing sunsets or stargazing around the fire pit on your private patio nirvana. Turn on the high-end soundbar and listen to your favorite artists while you prepare home-cooked meals for your group in the fully equipped kitchen. Serve your culinary creations at the 4-person dining room table! 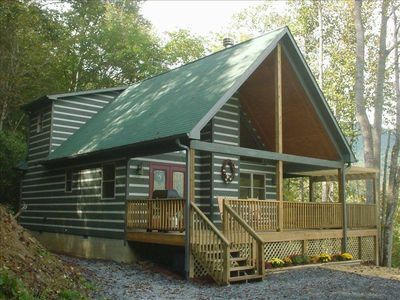 The living area has comfortable furniture, a wood-burning fireplace, and a flat-screen Smart Apple TV with an Xbox 360. Curl up on the sofa and stream film favorites for a movie night in with loved ones. When it's time to retire from the day, retreat to one of the 2 open and airy bedrooms with cloud-like beds. There is also a sleeper sofa, futon, and an air mattress - perfect for those younger travelers in your group. Rise and shine with a fresh cup of coffee or other cafe favorites brewed in the Ninja coffee maker with cappuccino frother. 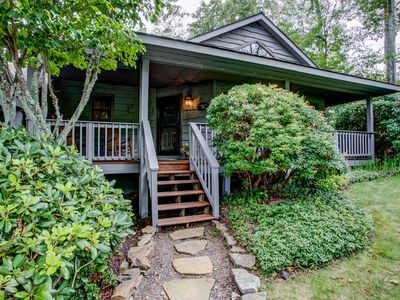 Walk out to the back deck and plan out your daily adventures in the serene outdoor space. Burnsville’s historic town square is the site of seasonal events including Mt. Mitchell Crafts Fair! Hop in the car for a short 12-minute drive to this charming town for shopping, restaurants, and breweries. Make sure to stop by Penland School of Crafts where you can peruse the local artisan exhibit and visit their studios for a unique experience! 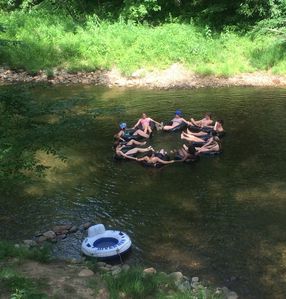 Outdoor enthusiasts will love the proximity to Mount Mitchell State Park for a short day trip! Spend your days hiking and experiencing the beauty of the Black Mountain Range and the stunning views from being up at 6,684 feet above sea level! The Black Mountains include 10 peaks over 6,000 feet in elevation. Hit the slopes at Wolf Ridge Ski Resort just a 30-minute drive away. Ski lessons and rentals are offered at this snow powder haven. Another place to pursue alpine adventures is at Beech Mountain, just an hour away for winter spots and mountain biking! 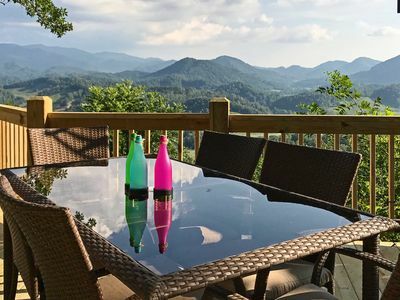 The mountain metropolis of Asheville is 38 minutes away and boasts some of the best restaurants, cafes, microbreweries, chocolate shops, museums, and galleries in the Southeast! This city is known for its farm to table flair with many award-winning restaurants you’ll want to check out! Be sure to visit the Biltmore Estate in Asheville! Spend some time admiring the awe-inspiring gardens and tour America’s largest home. 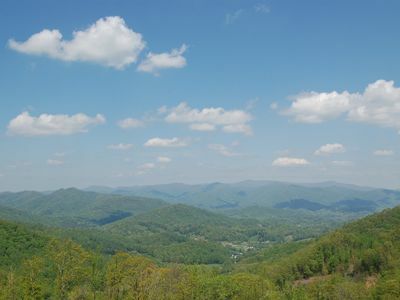 The gateway to Blue Ridge Parkway, also known as ‘America's Favorite Drive’ is through Asheville and takes you to the Appalachian Trail and the popular Crabtree Falls! There is a well-maintained park right just 4 minutes away with a walking track, playground, outdoor workout area, picnic tables, and a steam for trout fishing! 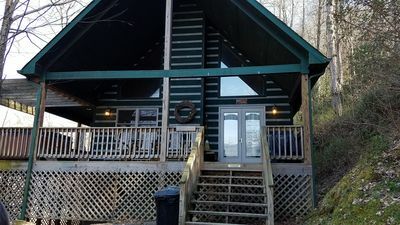 - Amenities include fully equipped kitchen, Ninja coffee maker with cappuccino frother, high-end sound bar, charging station, Smart TV complete with Apple TV and an Xbox 360, high speed free WiFi, wood-burning fireplace, spacious back deck, outdoor dining set, fire pit (wood provided), rocking chairs, washer and dryer, and much more! 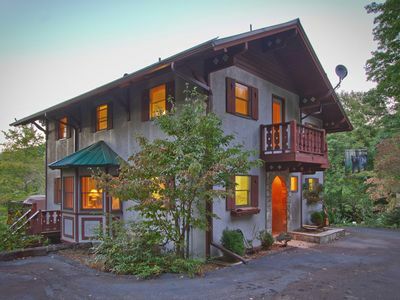 - Great Burnsville location 12 minutes from Town Square, a short drive from Mount Mitchell State Park, 30 minutes from Wolf Ridge Ski Resort, 1 hour from Beech Mountain and 38 minutes from great restaurants in Asheville! 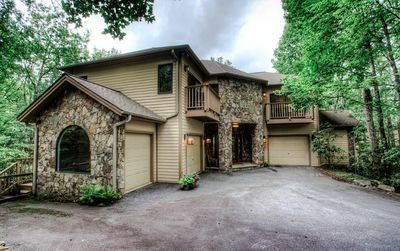 Fairway Mountain Villa; Private/gated Mountain Air, Golf, Luxury! 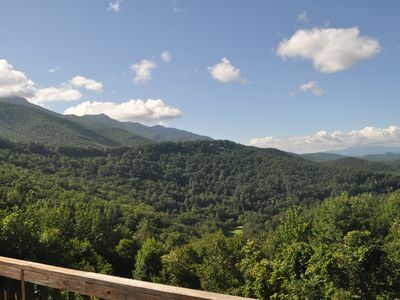 Asheville, views & more! 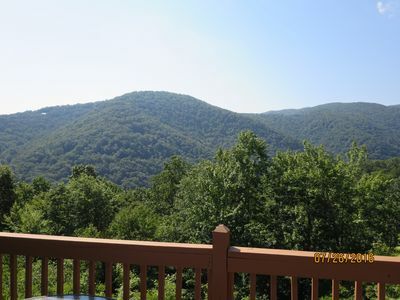 Heaven's Mountain Retreat at Slickrock Lodge; Gated/Private Mountain Air CC, views! 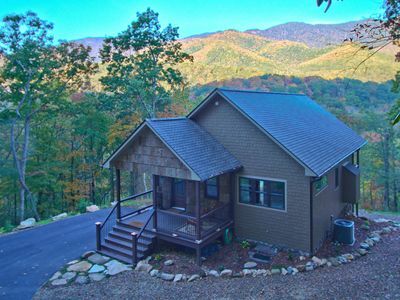 Enjoy spectacular views in Mountain Air! 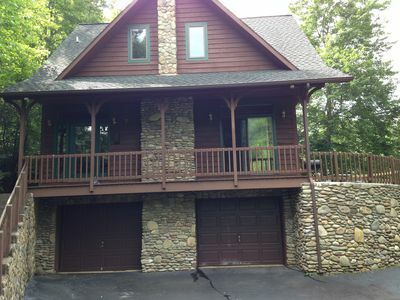 Luxury home in Burnsville, NC Best views in the mountains! 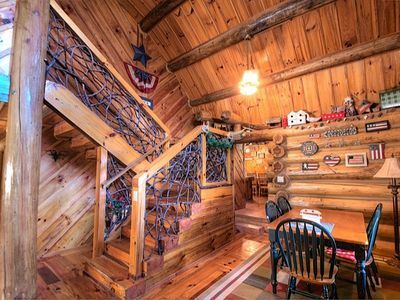 Waterfall Cabin; Sounds of water, mountain feel, private country club community. 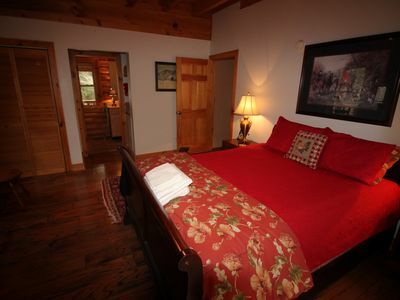 Mitchell View Cottage - Luxury cabin with stunning view of Black Mountains!